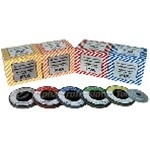 The Mad Max silicon carbide grinding stones are ideal for dry grinding on marble and granite. They are an excellent cost/performance value. The Huntington Grinding Wheel Dresser consist of star shaped cutters and spacers made of heat-treated high-carbon steel. The Colonial grinding stones are engineered with silicon carbide grains and designed to grind marble and granite. Starke 7" x 7/8" Sandpaper (100 per box) available in 36-400 grit. 3M Wet/Dry 9"x11" Sandpaper is excellent for stone, metal or woodworking. Create a Textured Finish on the edge and surface of Engineered Stone/Quartz Surfaces. The Alpha® PVA Makita® Style is a dry polishing system used to polish marble edges and is ideal for baseboard, corner and countertop edge applications. The Alpha® PVA Marble Edge Polish Makita® Kit is a dry polishing system used to polish marble edges and is ideal for baseboard, corner and countertop edge applications. This Antiquing Brush with Snail Lock (left or right) is designed for use on edge polishing machines. Comes with a ⅝-11 threaded arbor. Sanding blocks available in multiple grits. 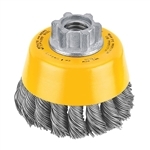 Dewalt Wire Cup Brush DW4910 for fast removal of heavy rust, corrosion, & weld scale at StoneTooling.com. The Huntington Dresser Replacement Wheel consists of star shaped cutters and spacers made of heat-treated high-carbon steel. Airflex brushes remove the “soft” material creating a beautiful texture while enhancing the natural color in the stone.